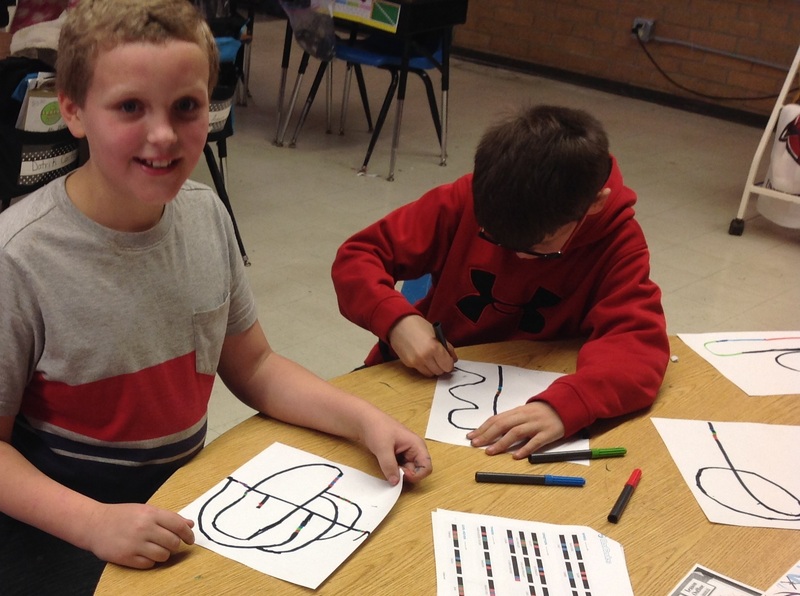 4th grade is learning how to program an Ozobot! Color days in Ms. Havlik's kindergarten class! 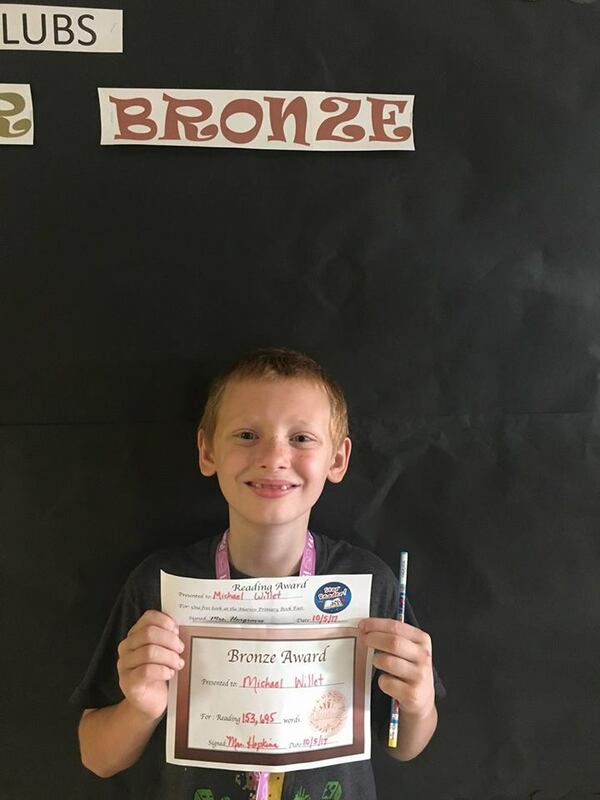 4th Grade student, Kyle Reynolds, has made it to the 4th grade Gold reading club. 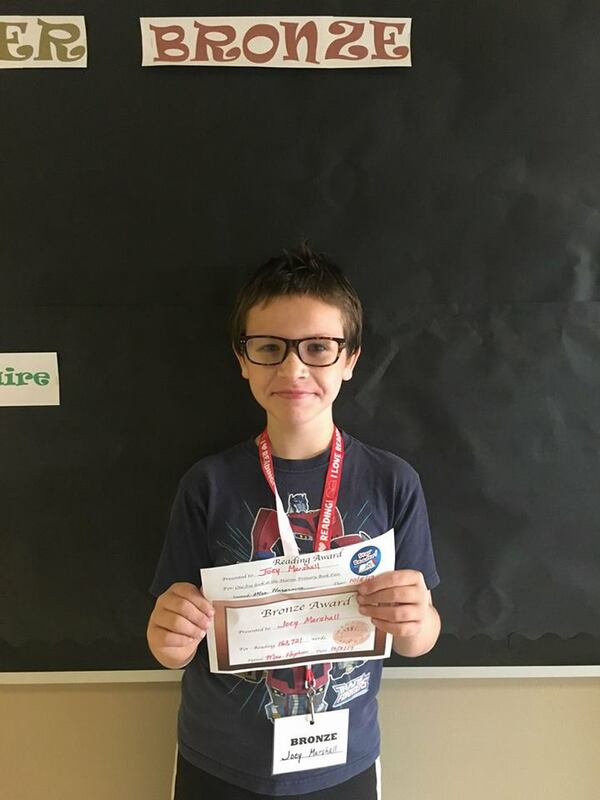 This means that Kyle has read over 400,000 words and has taken the AR test for each book he has read. Kyle wants to reach the Millionaires Club (1,000,000 words read) before the end of October. Kyle is less than 100,000 words away from his goal. AWESOME JOB KYLE!! Michael Willet and Joey Marshall have made it to the Bronze Reading Club at Marvin Primary. 4th grade students are required to read 150,000 words to reach that goal. 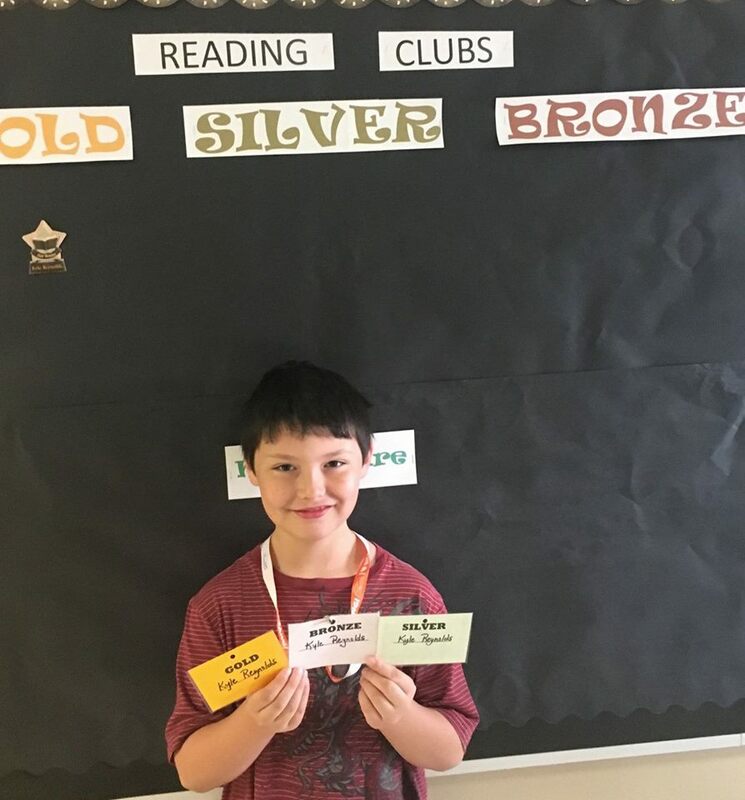 The Bronze Reading Club comes with privileges such as getting to choose where to sit at lunch, eating lunch with Mrs.Hargraves in the library and a free book at the book fair. WAY TO GO MICHAEL AND JOEY!!! 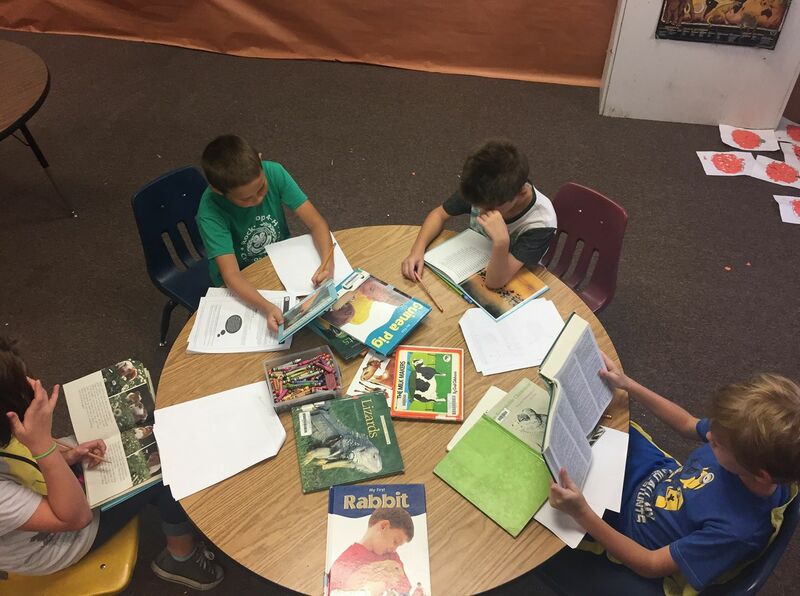 3rd and 4th grade GT students working on an animal research project. Today is Mustache Day at Marvin Primary. 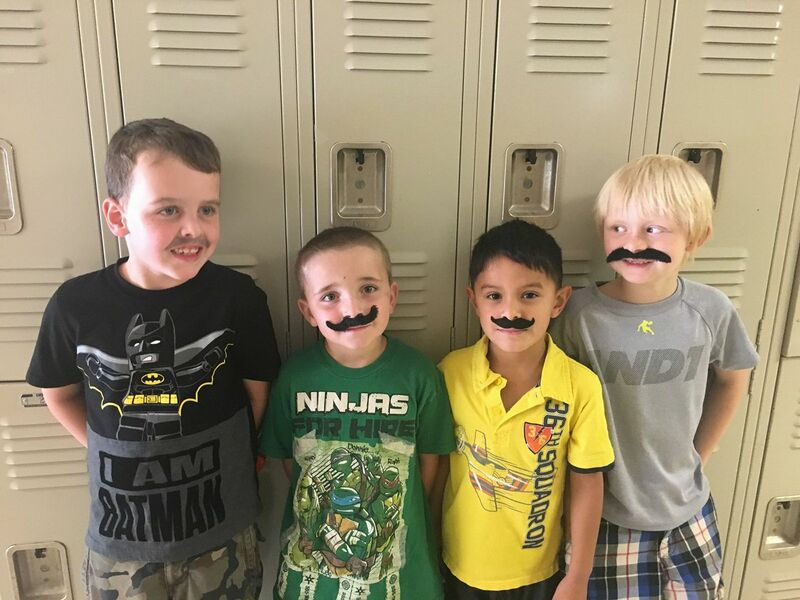 Kindergartners are showing off their finest mustaches. Hayden Fisher, Ronnie Pearcy, Jacob Ramirez, and Brenden Steudeman. 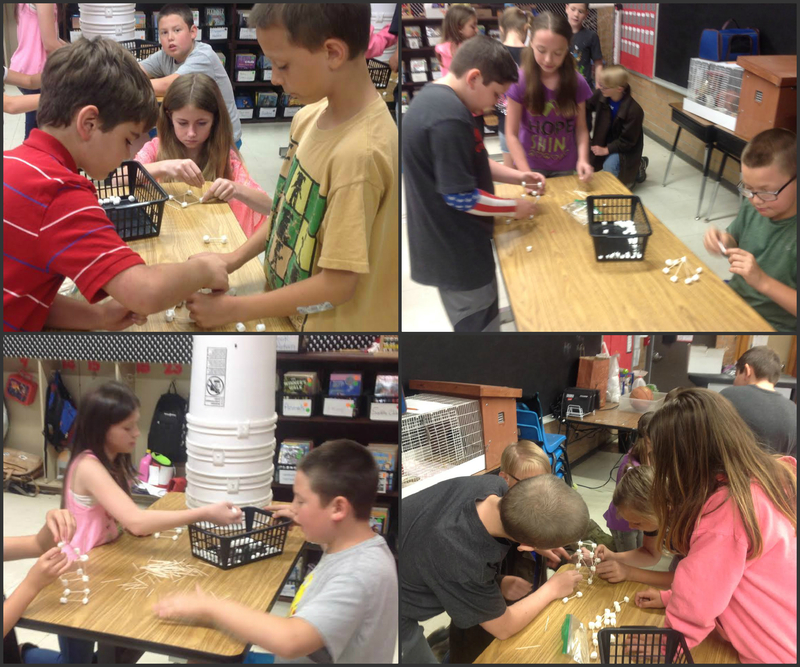 Ms. Dohle's 4th grade class working on a STEM structure! 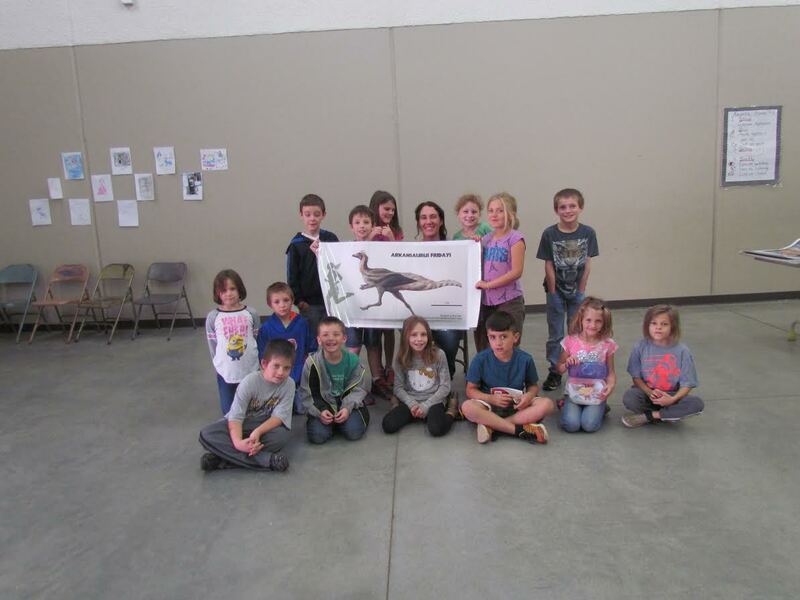 Paleontologist, Rebecca Hunt-Foster, formerly of Mulberry, paid a visit to Marvin Primary School to talk about bones. Not just any bones, but dinosaur bones. Ms. Rebecca brought in a few fossils and some replica dinosaur bones for students to look at, pass around and examine. 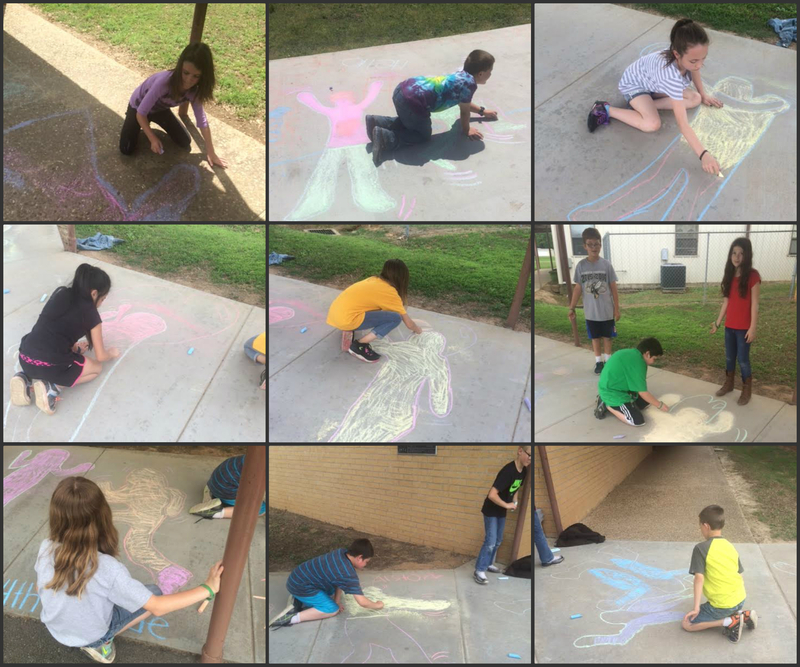 She discussed time periods, how fossils are formed, the excitement of excavation and working on the dig for the Arkansas dinosaur,"Arkansaurus fridayi". 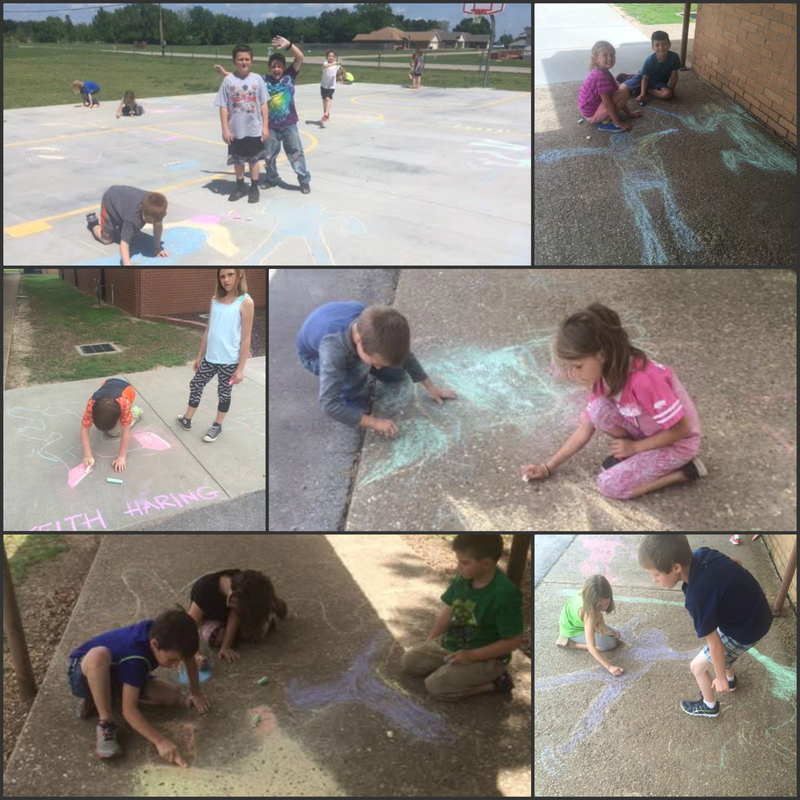 Mrs. Musick's art classes having fun with chalk at Marvin. 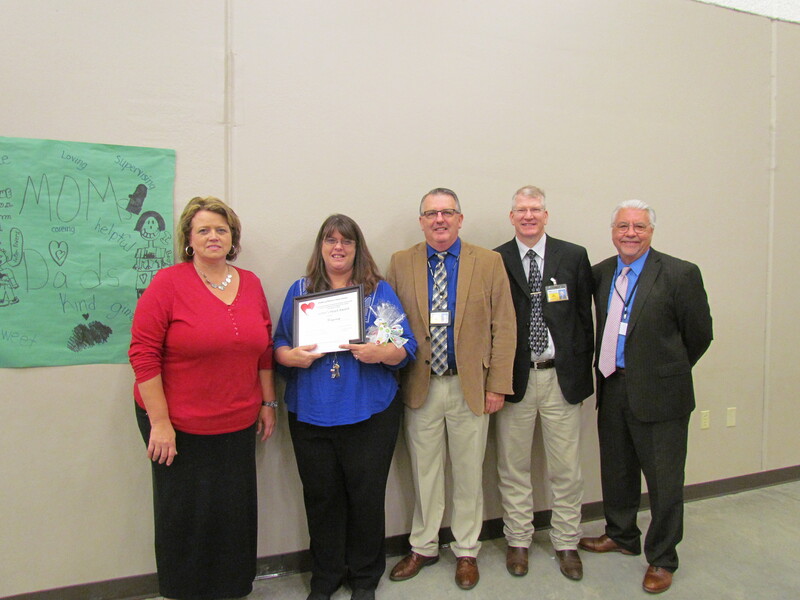 Mrs. Tammi Benham, Office Manager at Marvin Primary School was awarded the Big Heart award for her tireless service to everyone at Marvin. She plays a big part in the day to day happenings around the school. Not only does she keep the office running smoothly, but she plays the part of school nurse, custodian, teachers aid, friend, and counselor (as needed). We are very blessed to have her. Thank you, Mrs. Benham for all that you do. 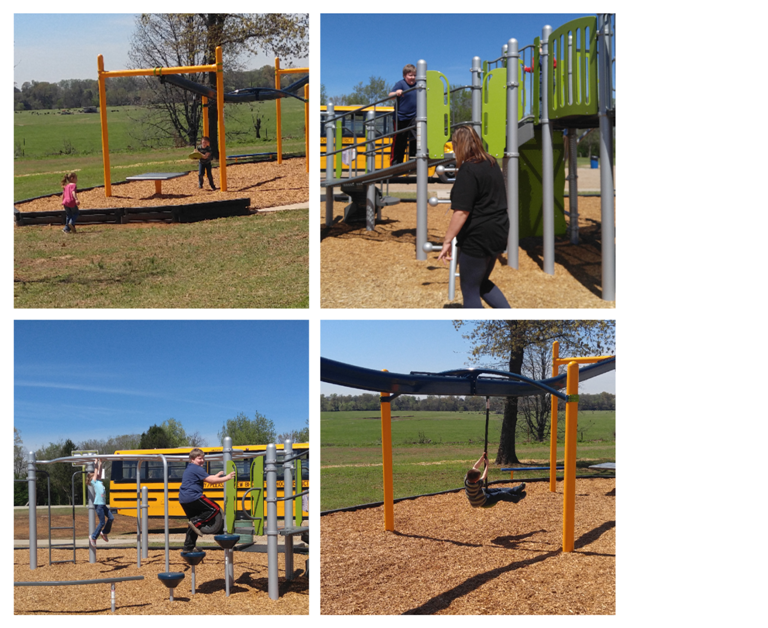 Pictured: Mrs. Heather Belt, Dakota Williams, Bryar Williams, Dr. Lonnie Myers and Mrs. Tammi Benham. 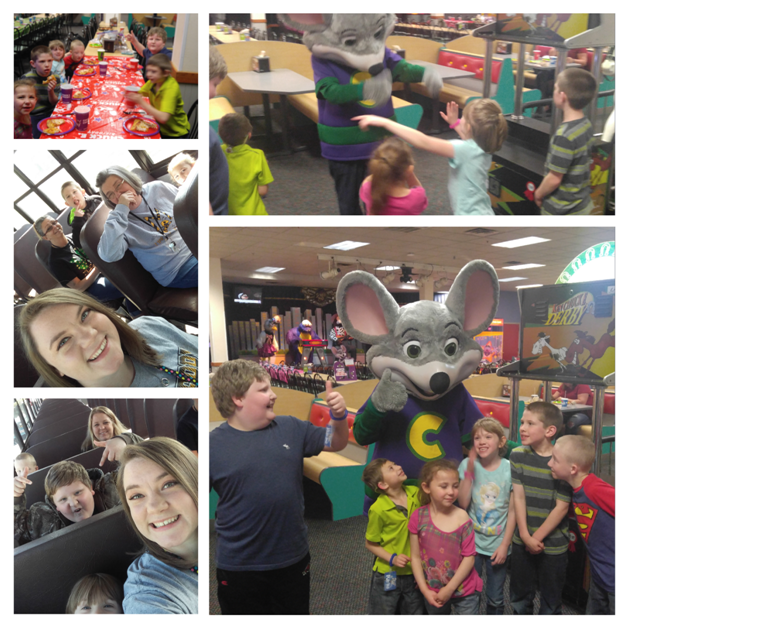 Mrs. Summerall's class took a field trip to Chuck-E-Cheese and the Mulberry Park. They had a blast! Mrs. Battles' class celebrated the 100th day of school in style! 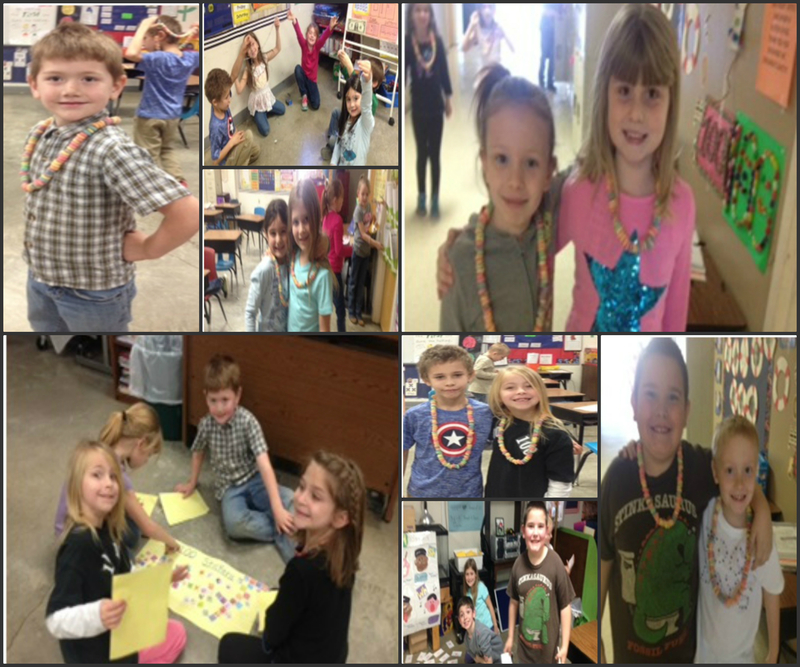 We made necklaces with 100 Fruit Loops and worked on group projects (make a chain of 100, put 100 number cards in order, make a picture with 100 stickers). We are 100 days smarter! Marvin Primary School in Mulberry held the 2016/2017 Spelling Bee on Dec. 13th. The winners are Alston Hill (1), Josh Philyaw (2), Madison Steele (3), and Lilly Hayes. 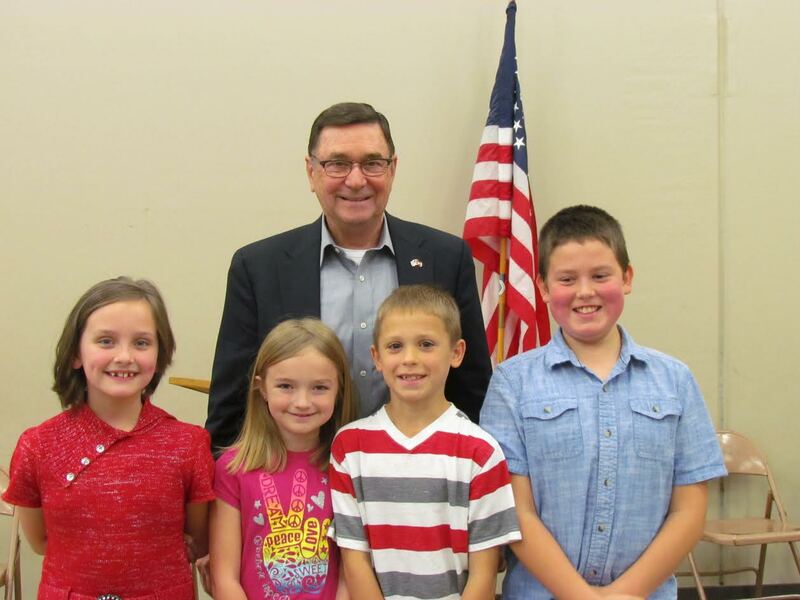 Congratulations to our winners and a big thank you to Mayor Gary Baxter for being our announcer. 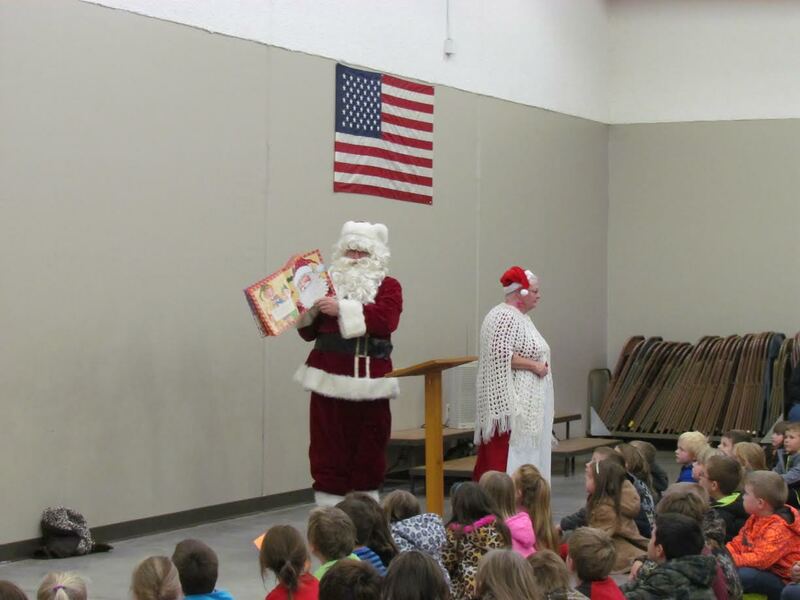 Students at Marvin Primary School got a surprise visit from Mr. and Mrs. Claus (aka Dub and Claudine Shankle). Santa read "The Night Before Christmas" to all the good boys and girls and of course they were all very good ;-) Mrs. Claus had a treat for each child as they left the building. Thanks for the visit Santa, we will all leave you a sweet treat on Christmas Eve. Merry Christmas to all and to all a Happy New Year. 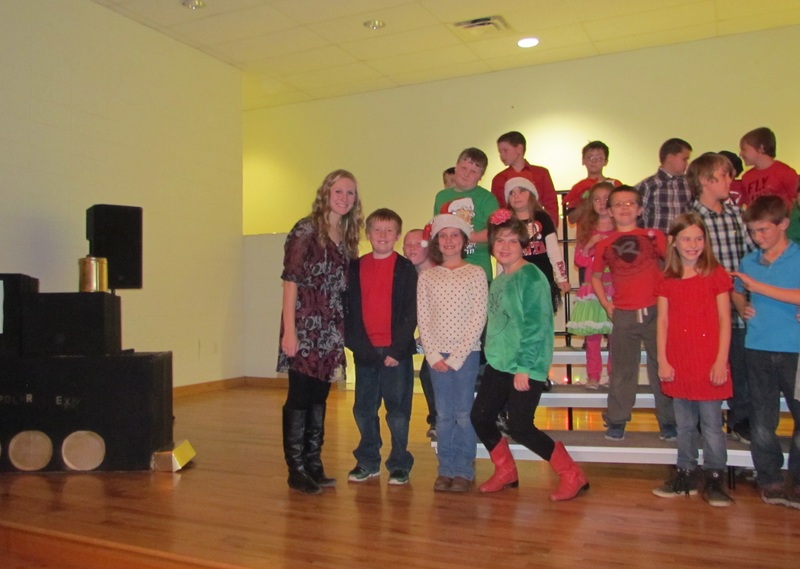 The Christmas Program turned out wonderful! Students were energetic, songs were well rehearsed, and the theme was perfect. How can a tribute to 'The Polar Express' and the Nightmare Before Christmas' be anything but fun. Mrs. Courtney Freeman out did herself! 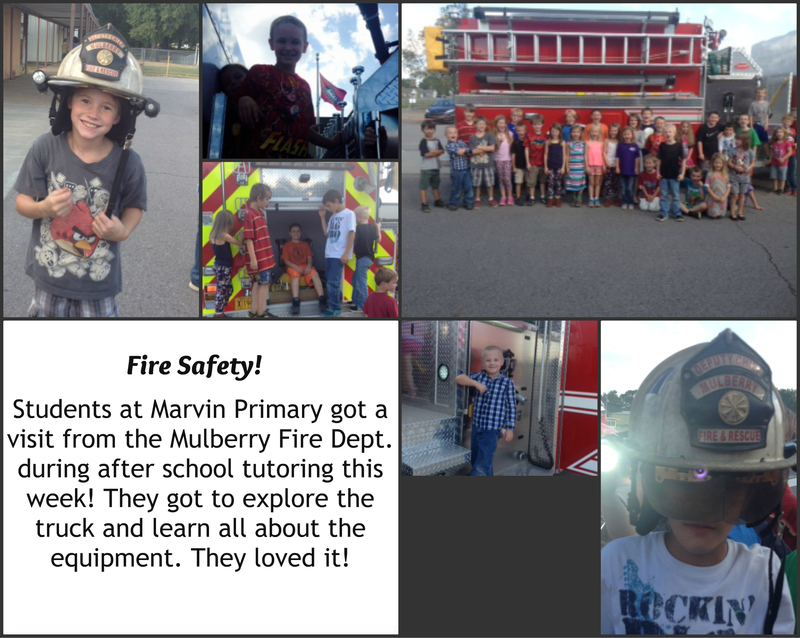 Jeff Marvin, Fire Chief of the Mulberry Fire Department along with Nick House and Dylan Reeves presented a fire safety program to students at Marvin Primary School. Mr. Marvin had three lessons to teach. First, if on fire Stop, Drop,and Roll. Second, should your house catch on fire- Get Out and Stay Out. And finally, every family should have a designated safe meeting place. We truly appreciate our local Heroes and all that they do to keep us safe in our homes, schools, and businesses. 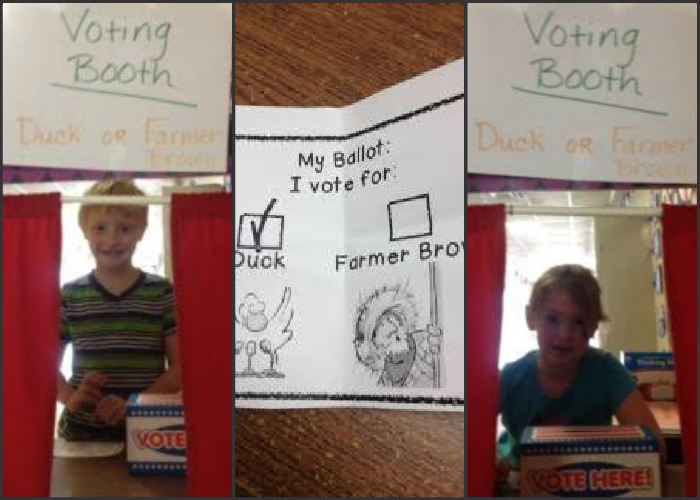 Our class read "Duck for President" this week and then exercised our right to vote on Tuesday. Duck won by a landslide! 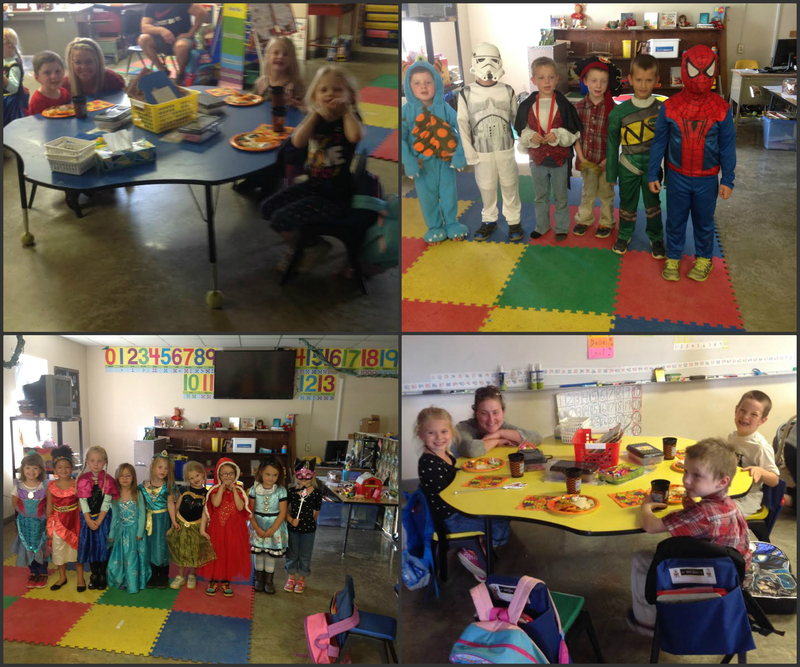 Mrs. Richardson's class enjoying their Halloween party! Red Ribbon Week door decorations! 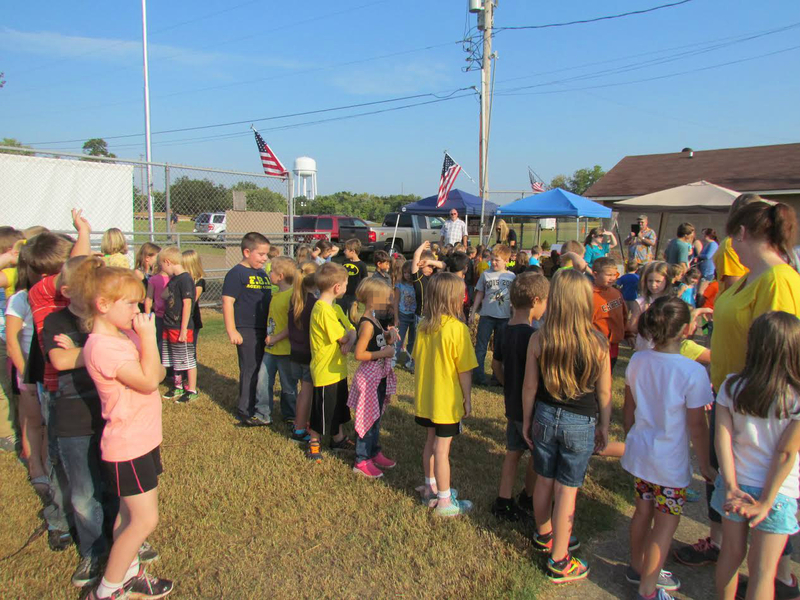 Marvin Primary School in Mulberry celebrated 'Everyday Heroes' with Detective Brandon Herring of the Crawford County Sheriffs Department and Jeff Marvin, Mulberry's Fire Chief. It is our desire that every child understands that anyone can be a hero,and that everyone needs a hero. Heroes come in every size and shape. They come from every walk of life. Heroes are not limited to cape wearing, and super powers. They give of them selves and many times put themselves in harms way to protect someone else. Is there a HERO in you? I'll bet there is. 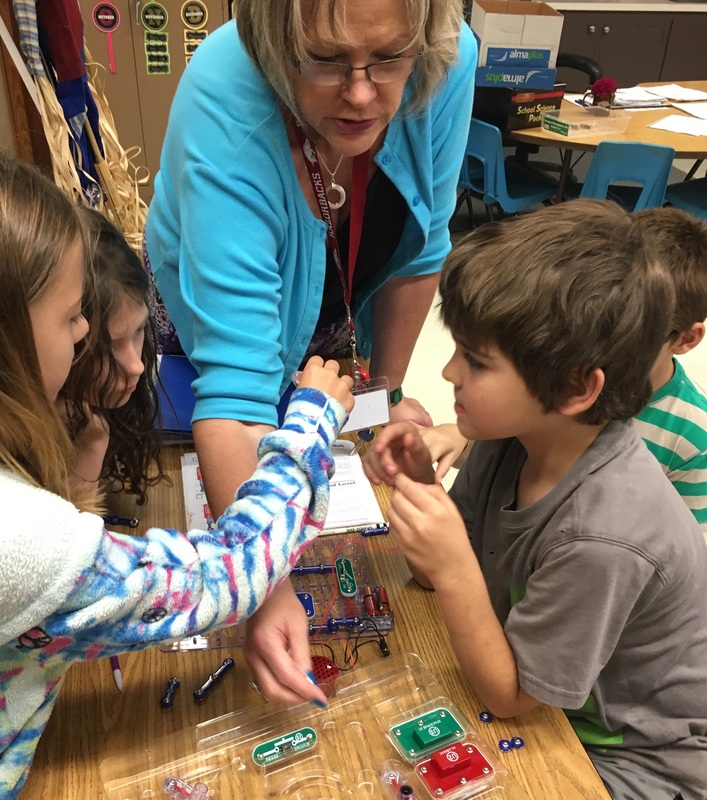 Ms. Dohle's 4th graders are having fun working with circuits! 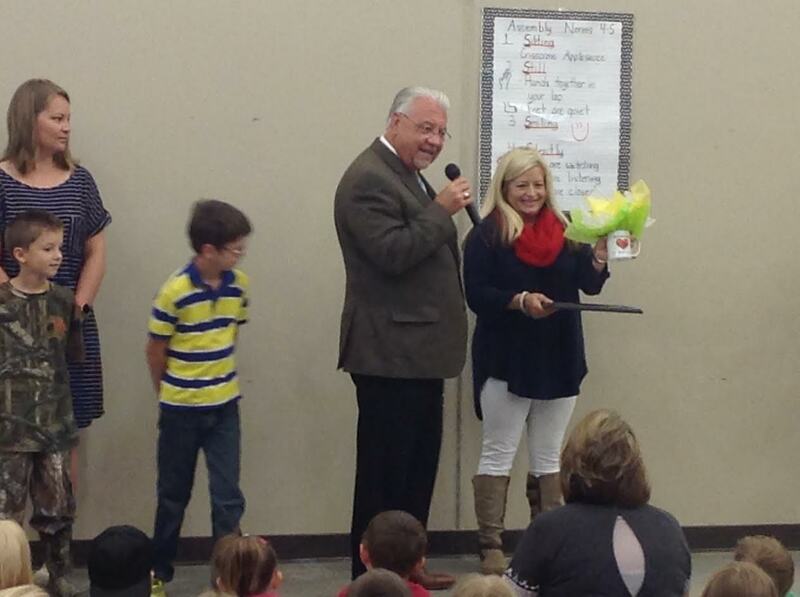 Marvin Primary Kindergarten teacher Tammy Montgomery received the 'Teacher's Heart Award'. Mrs.Montgomery was chosen for this award because of the love for teaching that she has. The award included a Certificate, Mug, and a Voucher for $50.00 to be spent on books for her classroom. "Mrs. Montgomery is always upbeat with a smile on her face and a love for all students. We are very grateful to have Mrs. Montgomery teaching at Marvin Primary School." 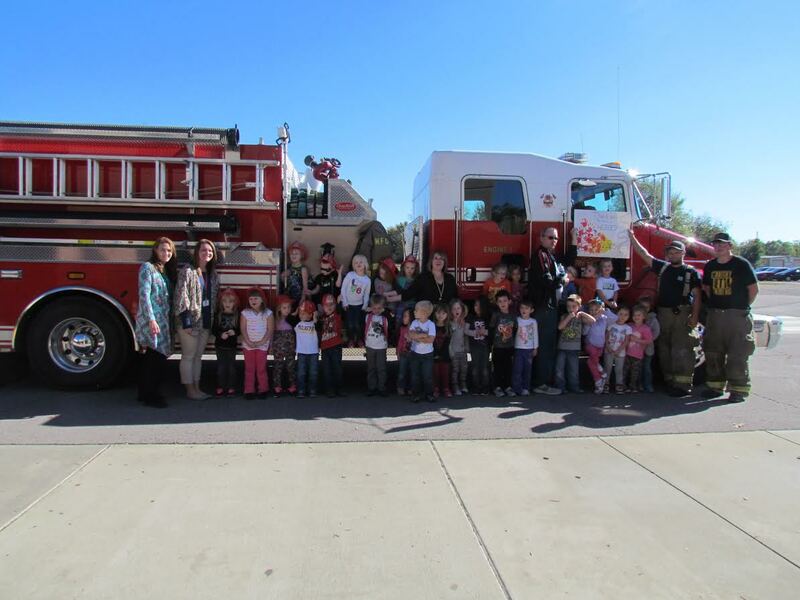 Mr. Williams presented a Bus Safety program to Marvin students including an emergency exit drill on one of the buses. 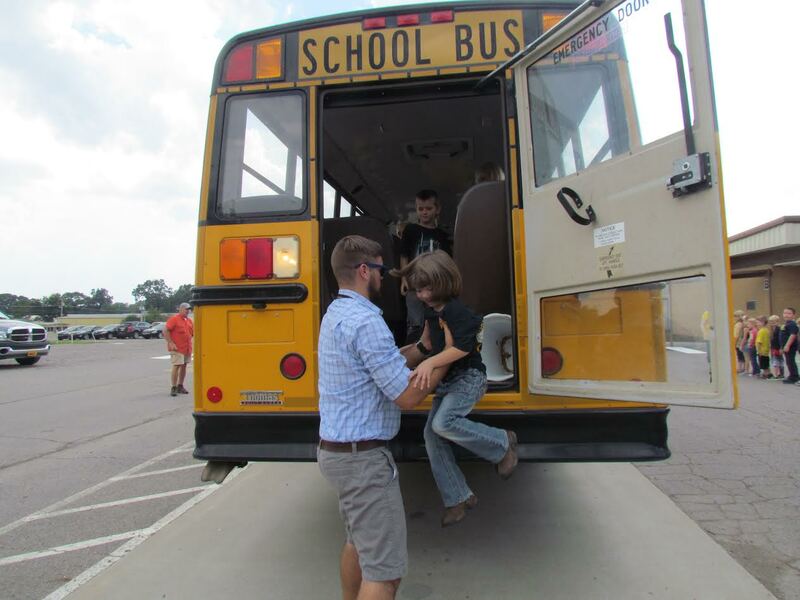 Coach Doss lends a hand helping students exit the bus. 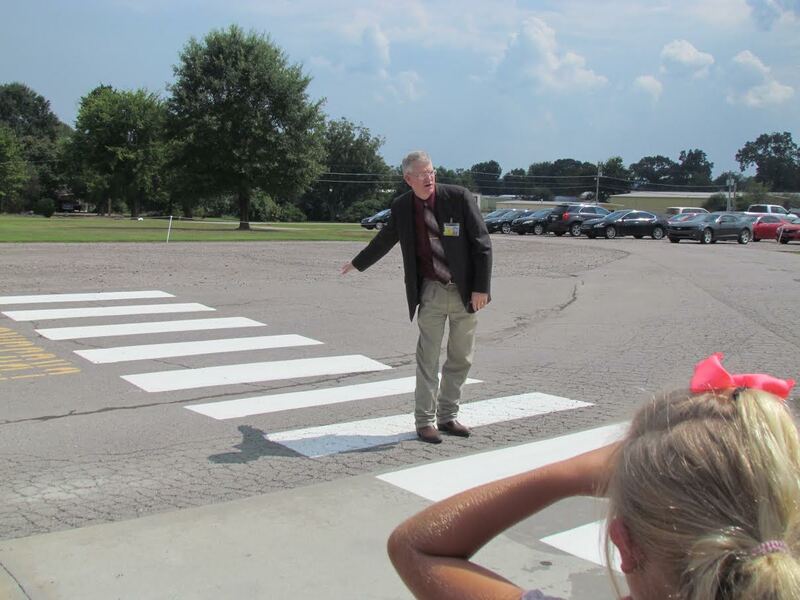 Mr. Williams also educated students about the new cross walk that was added to Marvin's loading and unloading zone. 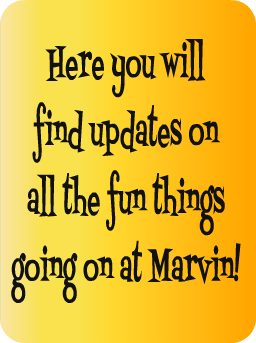 Marvin Pre-K through Fourth grade students attended the Crawford County Fair. We had lots of fun walking through the exhibit halls and checking out the barns. Students were proud to show off their animals. Grandparents breakfast was a great success, we had lots of grandparents eating breakfast with their grandchildren. 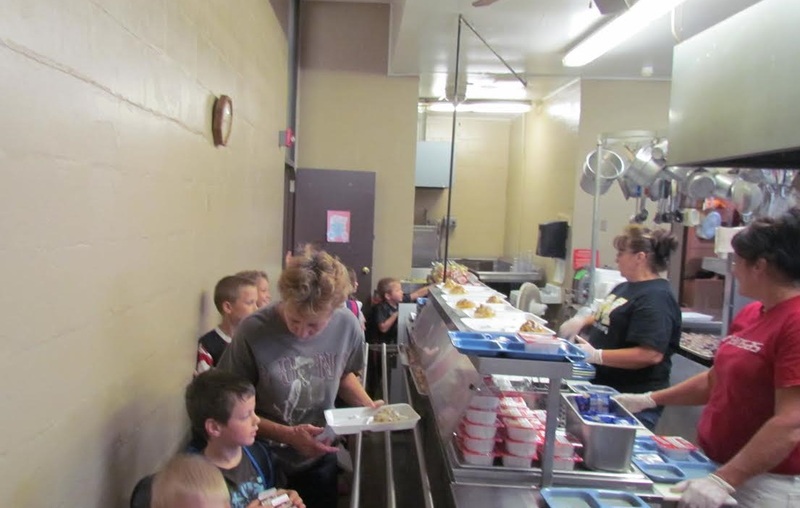 Ms. Karen and staff served hot cinnamon rolls and fresh fruit.